Hazard: On units with a space between the bottom of the water tank and the combustion chamber, the flame arrestor or flame arrestor plate can fail, posing a risk of fire or explosion if flammable liquids or gases are nearby. Consumers should immediately ensure there are no combustible materials near the water heater and contact Giant for a free inspection. 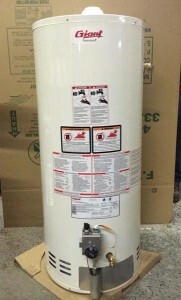 If the water heater has a space between the bottom of the water tank and the combustion chamber, Giant will replace the water heater free of charge. 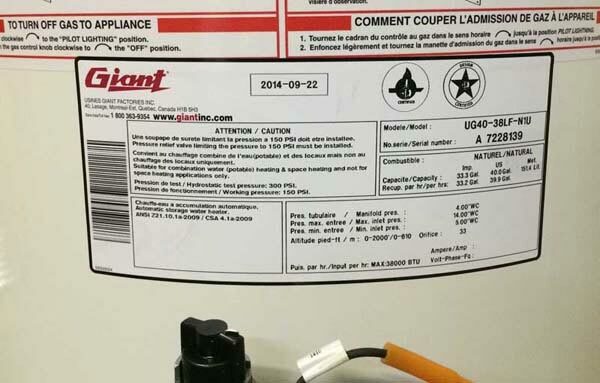 Consumer Contact: Giant at (800) 363-9354 anytime or online at www.giantinc.com then click on Recall Information for more information. Sold at: Independent distributors in Maryland, New York and Pennsylvania from April 2014 through October 2014 for between $340 and $830. Previous: The bathroom faucet does not drip UNLESS the toilet is flushed or some other faucet is turned on.